Left: Ken Kesey. Photo: Ted Streshinsky. © CORBIS. Right: Timothy Leary and Neal Cassady. Photo: Allen Ginsberg © CORBIS. 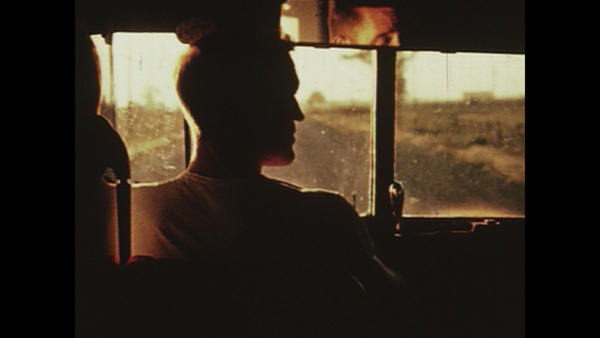 From Alex Gibney and Alison Ellwood, Magic Trip, 2011, color film in 16 mm, 107 minutes. IT WAS ONE OF THE GREAT UNINTENDED CONSEQUENCES in American history: Hoping for a truth serum or psychological weapon, the CIA tested the powerful, still-legal psychedelic LSD on human volunteers during the late 1950s and early ’60s in research hospitals and mental wards across the country. The project, it was later revealed, was called MKULTRA, and one of its unwitting subjects was the young, soon-to-be-famous novelist Ken Kesey, a creative writing grad student on a fellowship at Stanford. Kesey also worked the night shift at a local “nut house,” as he put it, and his experiences caring for the insane, combined with the roiling hallucinations he endured in nondescript hospital rooms during the original, government-sponsored “acid tests,” inspired him to write the novel that made his name, One Flew over the Cuckoo’s Nest (1962). Kesey and his crew, who came to be known as the Merry Pranksters, “weren’t old enough to be beatniks, but a little too old to be hippies, but everyone had read On the Road.” Who better, then, to navigate this search for the “soul of America” than the living inspiration for Kerouac’s Beat bible, Neal Cassady? A wiry, motormouthed speed freak from Denver, Cassady became the inexhaustible driver of the bus and patron saint of the trip, which would take the Pranksters from Northern California through the Southwest and up the Eastern seaboard to New York, turning on and turning heads wherever they went, constantly filming and recording. The Pranksters’ American odyssey was memorialized by Tom Wolfe’s totem of New Journalism The Electric Kool-Aid Acid Test (1968), but no one ever did anything with the endless hours of film and tape captured along the ride (although Kesey and the Pranksters tried unsuccessfully for years to cobble together a coherent narrative from the footage). Gibney, director of political docs like the 2006 Oscar-winning Taxi to the Dark Side, along with his partner Ellwood, were given unfettered access to the archive (now housed at UCLA) by the Kesey family and set about the seemingly impossible task of restoring, syncing, and editing the unmarked reels into a film worthy of the legend. Neal Cassady. From Alex Gibney and Alison Ellwood, Magic Trip, 2011, color film in 16 mm, 107 minutes. They succeeded beyond anyone’s hopes, largely because they let the original tapes do the talking—there’s not one present-day reminiscence interview in the film. Using audio from the trip and interviews with Kesey over the years, the filmmakers had actor Stanley Tucci record questions that are “answered” on the sound track by Kesey and had actors perform voice-overs of the Pranksters’ written transcripts or barely audible master tapes. For the ever-perilous rendering of the visual distortions of LSD to illustrate audio from one of Kesey’s MKULTRA sessions, the filmmakers hired the production house Imaginary Forces, who wisely eschewed CGI by painting and drawing on the film cells by hand, resulting in an aesthetic triangulation of Stan Brakhage, Ralph Steadman, and Peter Max. Having experienced General Motors’ Futurama exhibit and DuPont’s “Better Living Through Chemistry” stage show at the fair (on acid, naturally), Kesey and the Pranksters returned to California, realizing that “the trip is more important than the destination.” Acid parties thrown at Kesey’s house to watch film footage from the bus trip expanded to the point where he decided to hold them in San Francisco and other nearby cities in 1965–66. These were the Acid Tests of Wolfe’s title, and the moment when “the sixties” went public. It was all over in a few years, but during the Pranksters’ 1964 sojourn, anything seemed possible. And it was all due to a CIA mind-control experiment. Magic Trip opens Friday, August 5.